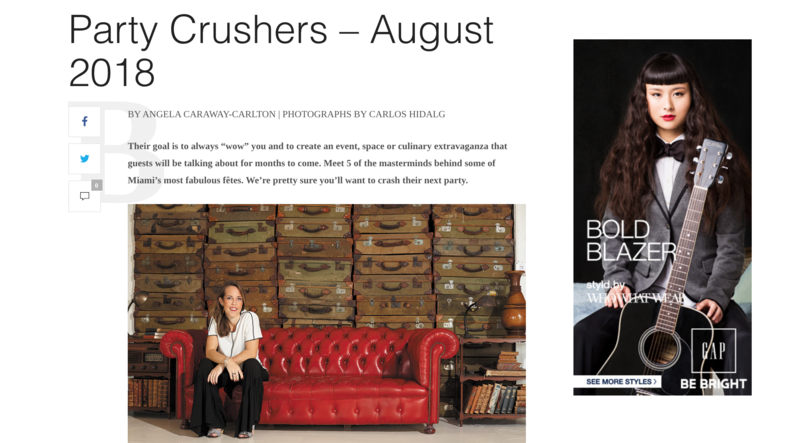 Aventura Magazine features our Founder Adriana Cadet in their last PARTY CRUSHERS article! Woohoo!! We love reading and checking out all the new trends via their Magazine and we are thrilled to be one of the Top Masterminds behind some of Miami’s most fabulous fêtes! 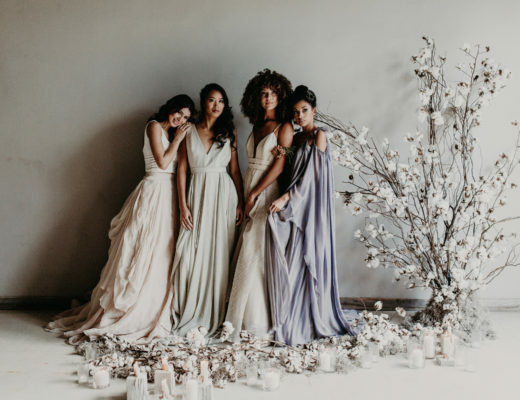 Read their interview to know more about what Adriana Cadet thinks of the Industry; the new trends, what’s on point nowadays in the Wedding Industry, etc. Big THANK YOU to their lovely editor and photographer and for making this happened! How would you describe your event style? I’m from Spain and we incorporate a very unique and creative vision that comes from my strong European savoir-faire and Spanish bridal knowledge. 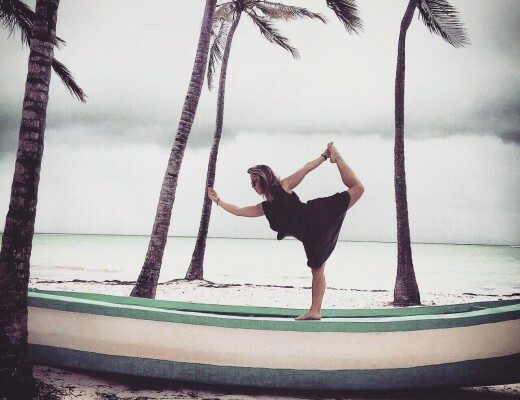 Instead of the typical Florida style, we think in a very alternative way, planning everything from weddings with an industrial-tropical or romantic vibe to Scandinavian-Bohemian tented weddings to warehouse-style weddings. Each event is different as we base our proposals on our couple’s personality, style and vision. Your company’s name includes the word “creative.” Where do you get your inspiration? The studio’s name comes from a very personal experience. Since I was a little girl, I would create, design and produce new ideas in my loft, a space that became my habitat for many years where I launched several projects. The word “creative” is a main component of our DNA when planning and styling weddings and events. We always come across original ideas that don’t already exist in the market. If you could plan an event for anyone in South Florida, who would it be? Iris Apfel. The fashion icon’s 100th birthday is in four years. She’s one of the most vivacious personalities on the planet and we are already thinking of how much color her party would have. Thinking big is the key, and as we always say, “The sky is not the limit,” so keep thinking and creating.